The Pinterest Interest | Sew Lindsay, Sew! The hottest question of the year: Do you Pinterest? A Pinterest board I started to collect ideas for my dream craft studio. Pinterest is the latest trend in social networking – it’s a virtual pin board site where you can “pin” images representing ideas, craft projects, recipes… anything, really. The possibilities are endless. Images link up to the web site where more information can be found. So, a photo of a cute sewing project might link to the how-to tutorial on the site where the photo is hosted. A fun sewing idea found on Pinterest! I took a long break from Pinterest after I realized I was merely storing ideas and not actually implementing them. Was I wasting my life away pouring over the site, searching for and hoarding “great ideas” I’d never use? Looking at decorating ideas for a house I don’t own and sewing projects that require more time than I can devote? I went cold-turkey and ignored Pinterest for a few months. But alas, I’ve returned to Pinterest with a vengeance after I realized that a part of the fun in any hobby is the careful planning and collecting that goes into it. Yes, I love to read, but collecting, organizing and deciding which books to read is half the fun… even if that means I will never actually get around to reading every single book on my shelf. And I think we can all agree that as much as we love sewing and crafting, collecting and planning the fabric is a major part of the hobby. A picture-perfect fabric collection from Make It Perfect! So, it’s okay if we pin and pin and pin and don’t get around to trying a majority of the ideas we discover. Don’t lay awake at night feeling guilty about all of your long-lost Pinterest ideas. The journey alone makes the discovery well worth it! It’s hard to criticize a trend that gets the creative juices flowing. That being said, I’ve tried a few ideas from Pinterest with great success! 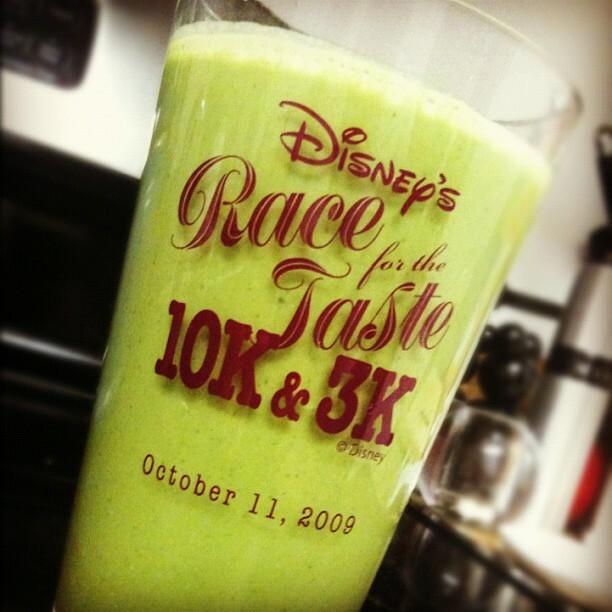 This week’s Pinterest adventure: the Green Monster Smoothie from the Iowa Girl Eats blog. My mom hasn’t had quite as much luck though. She’s tried a few recipes from Pinterest with terrible results. With the exception of the Green Monster Smoothie, I tend to stick with internet recipes that are accompanied by plenty of reviews – so my pin boards are more concentrated in the craft department anyway. 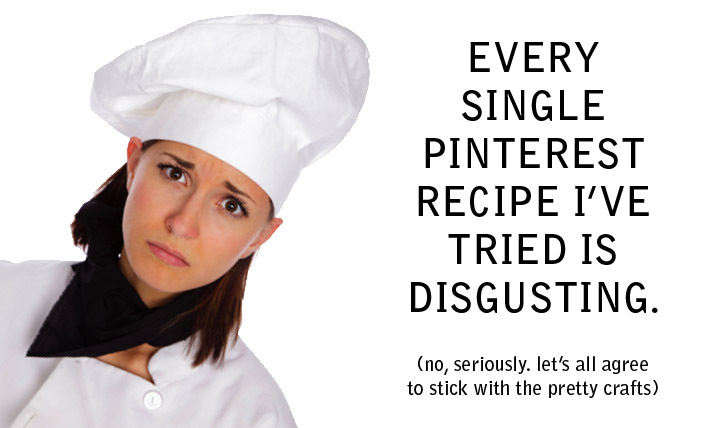 I created this graphic for my mom after hearing about all of her Pinterest recipe disasters! For anyone out there who wants to follow my pins, my username is SewLindsaySew! « Countdown to (sewing) fun! but i’ve actually had good experiences with all my pinterest recipes. (at least the ones i’ve tried and not just stared at with droll trickling out of my mouth.) these turned out well: key lime cupcakes, apple pie muffins, and nutella and chip cookies.